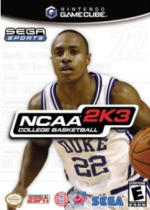 I never would have guessed NCAA College Basketball 2K3 would be at the top. The online games on this list make me wonder how well current games will age. If the company removes the servers for an online game, some of the game play is permanently lost. Maybe really popular games will be reverse engineered and enthusiasts will host the online experience on their own servers. I've flipped several copies of NCAA 2k3 over the years, and almost every time, I found the game at Blockbuster. It made wonder if rental chains were the only place that ordered/got shipments of the game. Really cool and interesting list, but I feel like some of the used prices are a bit exaggerated. 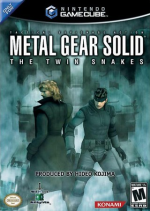 I walk by a 19.99 copy of Twin Snakes every time I'm at my media resale shop. I've got two games on that list, but I wonder why Skies of Arcadia wasn't mentioned. Wow. Maybe I should keep a lookout for these games and try to flip them on ebay. "New prices are the highest price a sealed version of the game sold for during this same time period." So, what they are saying is the "New Price" is actually the "New Price Only A Moron Would Buy This At"
I can see why these games are expensive. They are the best games ever. DDR Mario Mix is my favorite. Funny how a game in the "Other Expensive Games" list is $25 and many in the "Cheap Games List" are $20. I swiped a copy of MGSTS from blockbuster for $4 after seeing the ebay prices. Typical Blockbuster fare, no box, no manual, but jeez was it worth it at that price. I was not dissappointed with the game either. I bought MGS: Twin Snakes for $7 at K Mart....good investment! I have quite a few of the games on this list. :P Nice. Kind of sad to see that Baten Kaitos Origins is so rare, though. That's one game I've been meaning to pick up if I see it around. WOW! 400$ for a game. I guess many people see it as a collectors item. What about the Formula 1 game on game cube. I don't even see it listed on EBay? The F1 2002 game for Gamecube sells for an average of $11.80 used and $55 new. That is more than MSRP for the new game, but not enough to make this list. Skies Of Arcadia: Legends would have made this list 13 times better. 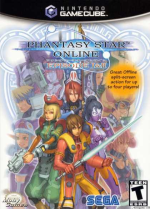 keithor_44 - I agree with that adding Skies of Arcadia would have made the list better game wise. I loved that game. But it only sells for $21 on average so it just missed the cut. Baten Kaitos Origins isn't worth it. The game re uses lots of graphics from the first game. I would call it Baiten Kaitos 1.5. They ruined the gameplay by limiting the number of decks you can use. I was a big fan of the first, but was let down by the sequel. 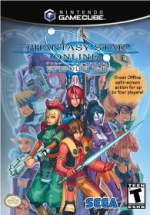 Check it out... You can still play Phantasy Star Online... online! PRIVATE SERVERS ROCK. Go to (http://www.schtserv.com) and see what I mean. There are hundreds of people still playing online and it's universal cross-console. NCAA Basketball is rare (and it was sold outside of rental chains, to who ever asked, I got my copy at EB Games in Seattle, WA). Pokemon Box is rare by virtue of only being sold via Nintendo's 1-800 number or at the Nintendo/Pokemon Store in new york. None of the other games are rare or even close. Dance Dance Revolution Mario? A game that had to print runs, selling out both, in every major big box chain in America? You're a total moron for even listing it. Thanks for your comment Anonymous, but I don't think you read the whole article. It is called "Rare & Expensive Gamecube Games" and I state in the article that the list is ranked by the price of the items. 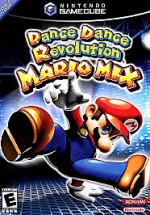 Dance Dance Revolution Mario Mix still sells for a lot of money so it is rare relative to the demand for the game. I never said the games on this list are the Gamecube games with the smallest print-runs and the fewest copies available. I've got digimon, Beyond G&E, and MGS: twin snakes at home. I must be lucky. They are missing one of the most expensive games! I have sold 4 new copies of Eternal Darkness for between 50-80 dollars on eBay. Mega Man X Collection needs to be added the expensive games section. The lowest priced copy on ebay is $35.45 and there is only about 3 copies (gamecube) on ebay. It's a good thing I have 2 of them, both for gamecube! I got ncaa basketball 2k3 for gamecube at gamestop for 4.99. Seeing some of the prices on these games makes me wish I would have held on to them a little while longer. I think I'll have to go through my used games to see what I have. DDR Mario Mix was a real shame, I never did figure out why Nintendo stopped product on such a hot selling game. Yesterday Dec.30, 2010..I have found the GameCube game NCAA 2K3 College Basketball Game at a Garage Sale. I bought all 24 GameCube Games for 10 cents each, I only took a litte peek at them and bought'em . My son was going thru all the games as I was driving, and just then I spot that special game. I was so EXCITED!!! Other games included D.K. Jungle Beat, Mario Golf, superstar Baseball, Sunshine, Strikers.. It is hard to believe that some of the best Gamecube games are now considered rare. The original Metal Gear for PS1 was better. 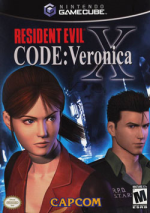 gah i have been wanting code veronica but not for 30 bucks not when u can get it on a ps2 for like 3 bucks. aaand eternal darkness was a sweet game for whoever posted about it earlier. a truely unique and compelling game. id like to have that one as well. errr all i have on the cube is res evil one and 4. 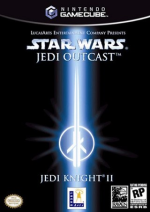 "Jedi Outcast was the only LucasArts published title on the Gamecube and did not sell as well as the Rogue Leader games published by Nintendo." Eh? All Star Wars licences on the Gamecube were published by LucasArts with Nintendo. Unless the LucasArts labels on my Bounty Hunter, RL and Clone Wars cases are forgeries! LucasArts published Gladius, Bounty Hunter, The Clone Wars, RL II + III for the GC. I have a copy of Zelda Ocarina of time with Master Quest and its complete in good condition. Considering that,what do you guys think its worth and should i sell or keep it? @anonymous - that game sells for about $40 used. How rare is it? And do you estimate that the average price will rise? I don't know the exact production amounts but it is pretty rare. Only 2 sales happen every month on average. I can't really say for sure if the price will rise or not. 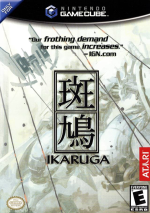 Some games like this have increased in price recently but others have decreased. Sorry I can't know for sure. I got the Legend of Zelda Collector's Edition Black Gamecube Bundle for $10 on craigslist locally. Is the European version at the same price? @anonymous - The PAL versions of games are generally a different price. Often times a game that is rare in the USA is not rare in Europe and vise versa. I have a sealed copy of Pokemon Box Ruby and Sapphire, but the game itself only is factory sealed, not the original packaging it came in (which included the link cable). Is this still worth anything? @anonymous - to make sure I understand. The game is sealed inside the original game case that contains the manual and disc. But the larger case that also contained the link cable has been opened? If that is correct, I think the game would still sell for a price close to the new price. I don't know exactly how much but my guess would be $80-90. Yes, the game is sealed inside the original game case and mint. It also contains the memory card. I still have the link cable and the original box as well. Thanks for your input j.j., and by the way the game is going for between 200-300 dollars now new. Yeah. 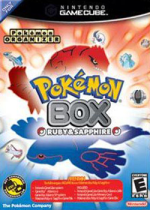 In fact, the average for a used Pokemon Box is up to around 125 and up... I'm excited about that, because I picked up Pokemon Box with the memory card but without the transfer cable a few years ago for 5 bucks! 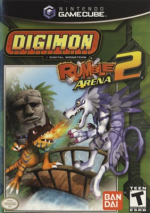 My friend had digimon rumble arena 2 on his gamecube when he was a kid. We never thought of it as valuable and preferred smash bros.
@anonymous - Ever 17 was never released for the Gamecube in the USA. Where did you see it selling for that price? Pikmin 2 complete Black label mint is becoming really expensive are harder to find wow! Wow Jedi Outcast sank like a stone. Very interesting article. 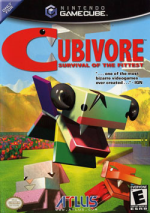 I was amazed to find out that Cubivore is worth about 108$ today in 2015. It's a very weird / strange game, but was well worth the purchase when I got it back when it was still sold in stores. 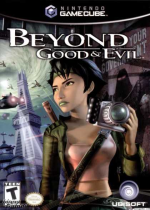 I'd recommend it to anyone looking for an unusual gamecube game that is a lot of fun.